Protecting the Mississippi River begins with each of us. Join us to protect, restore and enhance it! Advocate: Join the River Guardians! Take action on legislative and local river advocacy issues when the river needs your voice the most. Join the River Guardians! Get your hands dirty: Volunteer! Roughly 5,000 people volunteer annually with FMR. FMR ecologists depend on volunteers to help us restore parks, forests and prairies in our river corridor — for our waters, willdlife and communities. Visit our events calendar to see upcoming invasive species removals, native plantings and other restoration outings. Sign up for Mississippi Messages to receive twice-monthly email calendars of opportunities to protect, restore and enhance our local stretch of the Mississippi River. Learn more and see the map featuring our full range of volunteer programs. FMR's works with youth, corporate, church and community groups to mark storm drains with educational messages about how they connect to the river. (Oil, leaves and other pollutants travel straight into the river via our storm drains — unfiltered!) It's fun and educational with all supplies provided. Learn more and schedule your outing. FMR offers bird hikes, workshops, educational tours and other events to inspire and support local river stewardship. Visit our events calendar to find out about upcoming educational and interpretive events. Watch our half-hour documentary about how our local stretch of the Mississippi River was designated a national park. Check out Rebirth online and share it with friends and family. Learn more about the river's health in the 2016 State of the River Report. While you're there, check out the companion stewardship, policy and teacher's guides to help protect the river by educating others. FMR is nearly 3,000 members strong and growing every day. 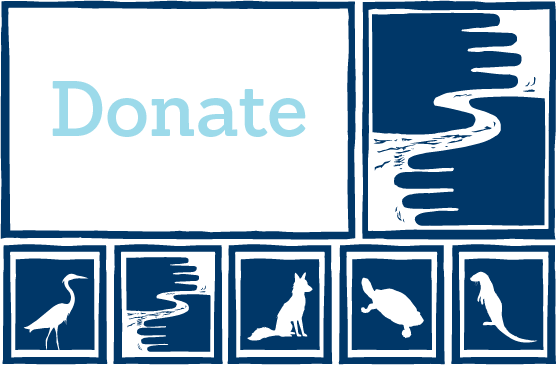 Help protect, restore and enhance the Mighty Mississippi by becoming an FMR member today. Today's communications landscape is rich and varied, but it can be difficult to rise to the top. Boost our signal by liking or following us on facebook, twitter and instagram.